Cookbooks Anonymous | Trying to justify a habit – cook a new recipe from every cookbook I own in a year – well maybe a bit over a year! Trying to justify a habit – cook a new recipe from every cookbook I own in a year – well maybe a bit over a year! Well I see I have gone backwards significantly since my last post. Now have 265 cookbooks with the most recent being Jerusalem by Yotam Ottolenghi and Sami Tamimi which I purchased on the weekend from probably my favourite bookshop, Lorne Beach Books. Jerusalem has received rave reviews and topped numerous ‘best cookbooks of 2012’ polls so I finally relented. Once you get into it, its a lot more than just a recipe book – a lot of info on the history and cultural influences in Jerusalem. 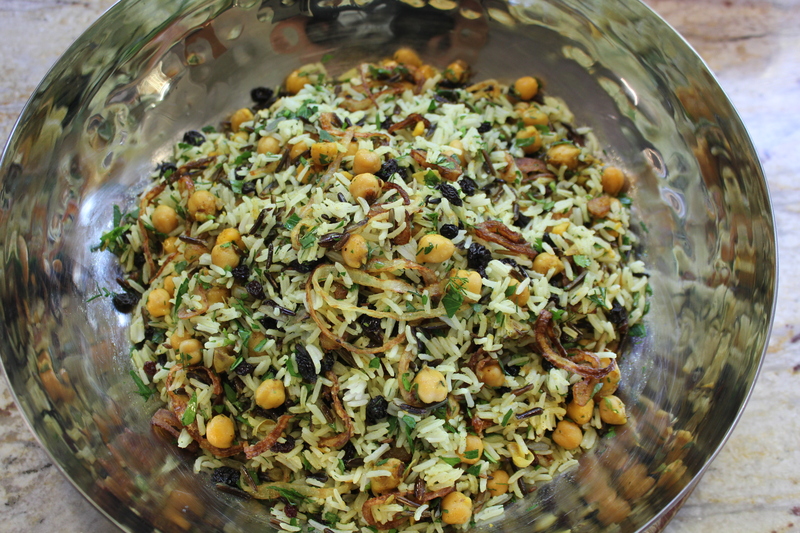 Tonight I wanted to cook Basmati and wild rice with chickpeas, currants and herbs which according to the book is a ‘Sephari-inspired dish that can be the centrepiece of a festive vegetarian meal or served alongside Chicken sofrito’, another recipe in the book. Given I was pretty hungry, i opted for the chicken as well. As with most of Yotam Ottolenghi’s recipes, most can be found on the net courtesy the column he writes for The Guardian. What I like about these recipes is that they are not complicated yet produce satisfying and tasty results. Below are links to the recipes (the rice recipe is buried pretty deep in the article) and my results. And on the plate – it was delicious. Hopefully I’ll get another post up this year! I’ve had a couple of goes at cooking big chunks of meat in my Weber Smoky Mountain but they didn’t turn out quite right. After a bit of research it appears I didn’t cook them long enough and also had a bit of trouble keeping the charcoal hot enough all the time. So it was time to try again. 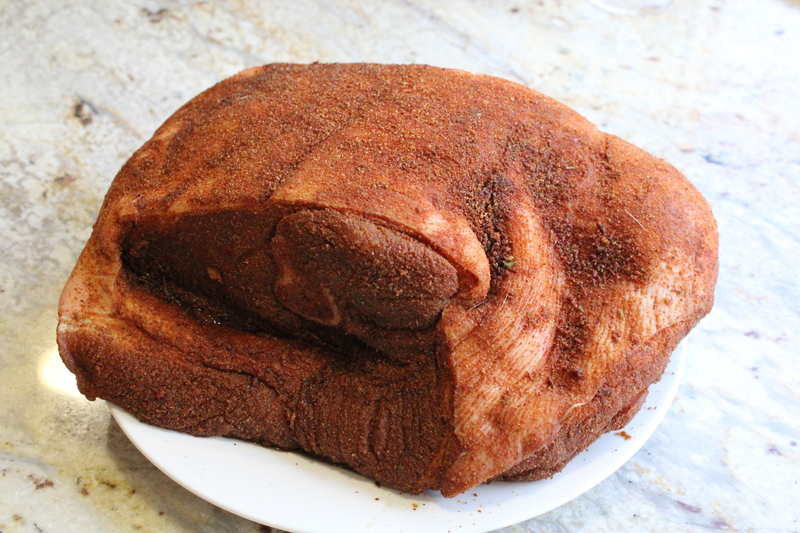 I grabbed a 4 kg pork shoulder from the market, applied a rub and left it in the fridge overnight. Next day it looked like this. 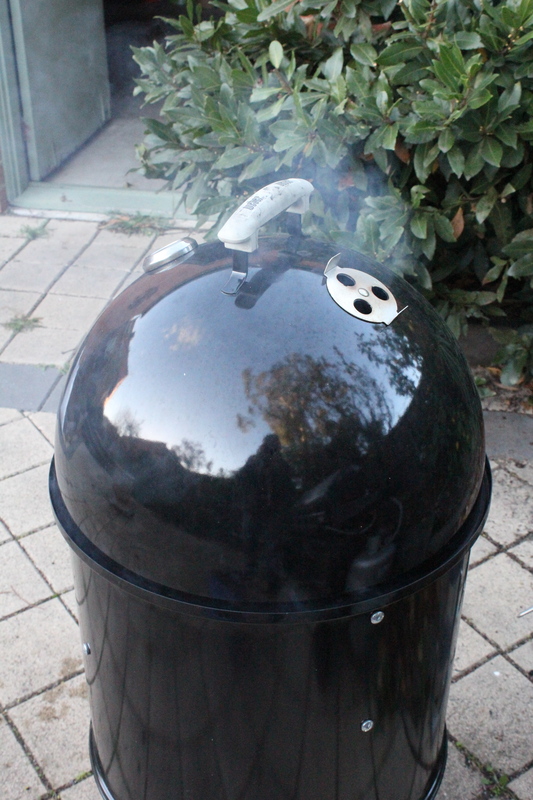 It was then time to get the charcoal going, load up the smoker, and wait – for 9 hours! 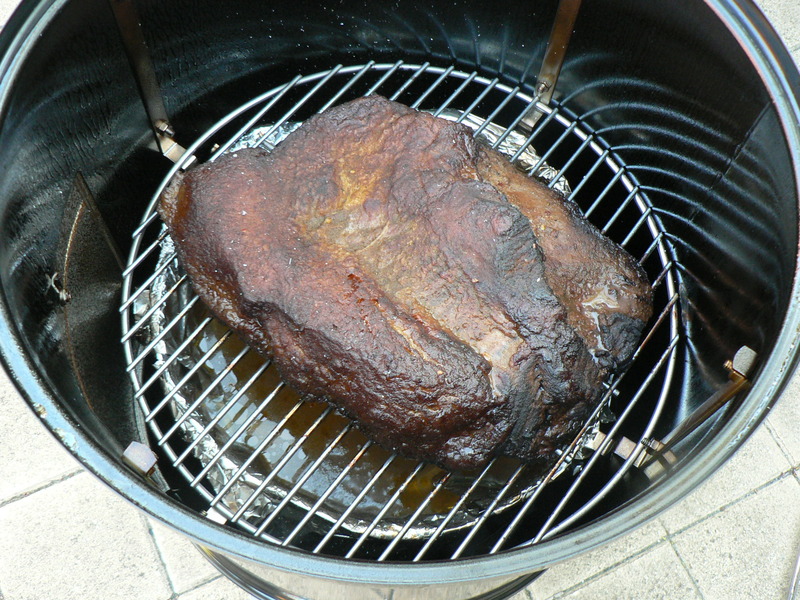 I kept the temp around 120C for the duration, added hickory chunks every so often and mopped the meat with a vinegar based sauce every so often. You could really tell the meat was cooked properly at the end – it was falling apart nicely (forgot to take a pic though). 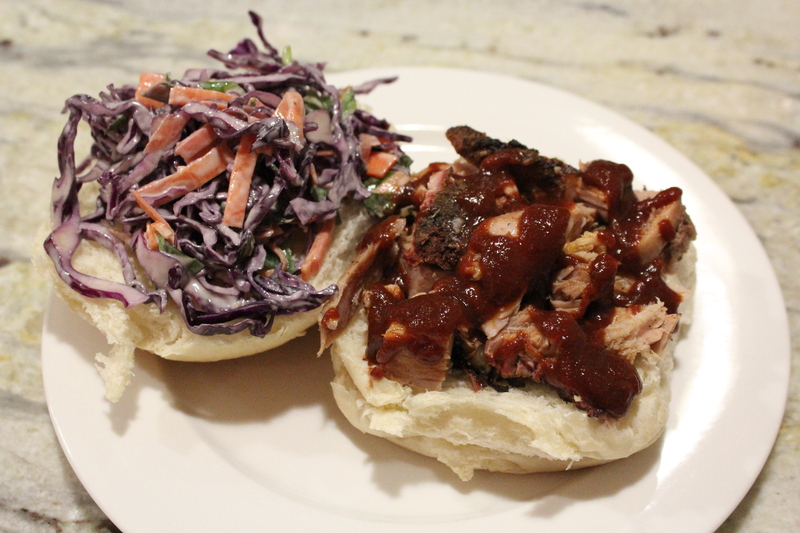 We served on rolls with homemade BBQ sauce and coleslaw. The now long gone Wynns Ovens Valley Shiraz is a favourite of mine. Halliday raved about the 90 when it was released and I remember I could only source a case from Nuriootpa. That is now long gone and I have since bought some from auction. This wine was fully mature and drinking well. 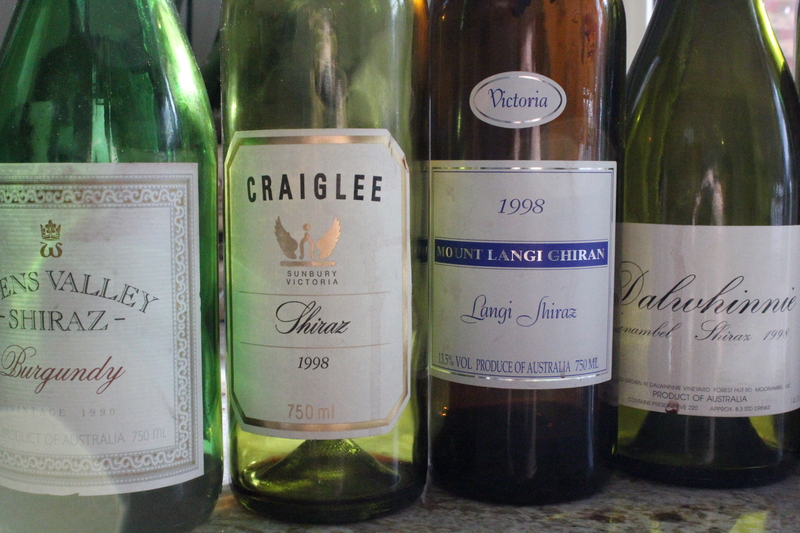 The Craiglee was very good – elegant, peppery and long. Of the next two, the Mount Langi Ghiran was probably the preferred – it was still showing heaps of fruit, again like the Craiglee, quite elegant and peppery. A lovely middleweight palate. The Dalwhinnie was a bigger more robust wine, more earthy and a good way to round out this bracket. I was really impressed with The Aberfeldy. This was a stunning wine with a great nose and equally great length, really good and not too big. 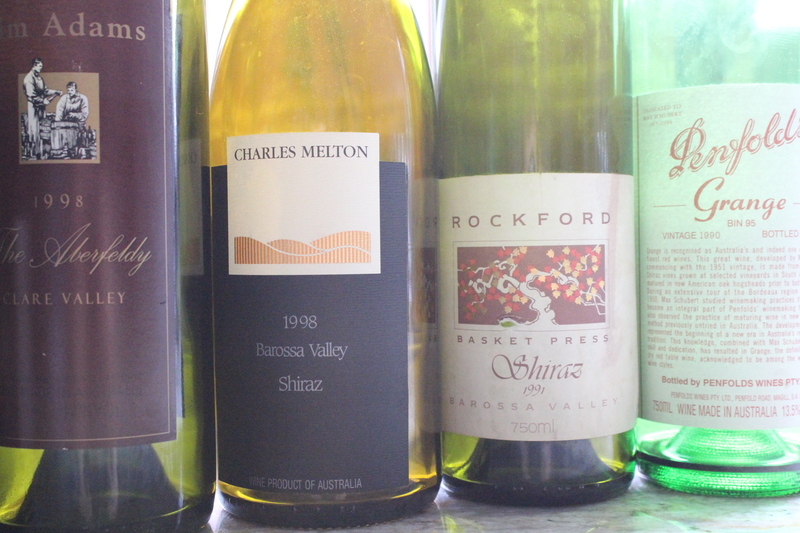 Unfortunately the Charles Melton was raisined and over the hill, a non representative bottle I would think. The Rockford Basket Press was for me the wine of the day, mellow, seductive, intense and a mouth coating palate that just kept on going. A mature Barossa shiraz near the peak of its powers. How could the Grange top that? Well it couldn’t. It was still a nice drink, but it just didn’t bloom. VA issues? Fruit seemed hidden yet I couldn’t detect any cork taint. An atypical bottle compared with others I’ve had. So while SA may have had the best wine on the night, Vic was more consistent across the board. 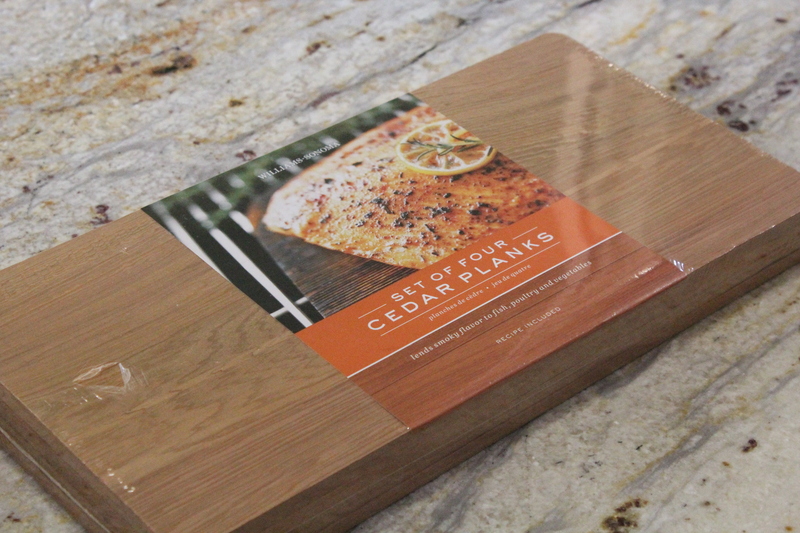 Cedar Planks – very excited to see these now that I am in a bit of a BBQ phase. Looking forward to cooking a side of salmon. Some spice mixes. 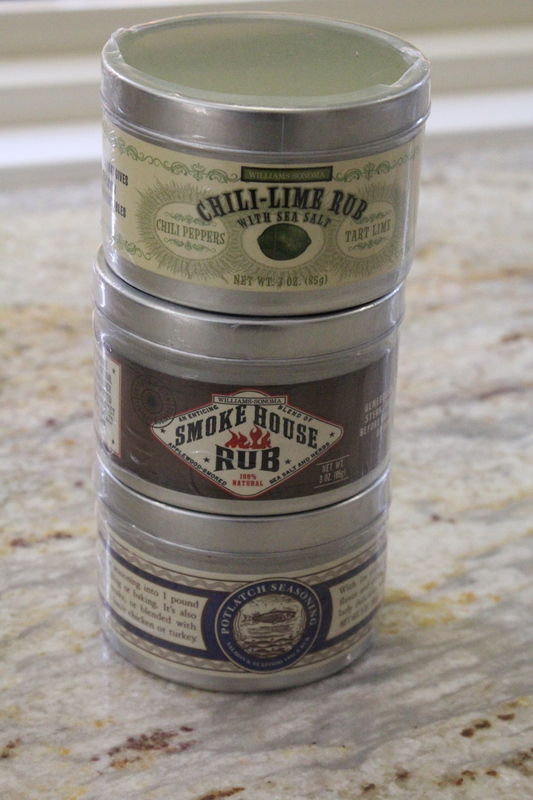 Chili Lime Rub with sea salt that can be used on just about everything by the look of it, Smokehouse Rub for smoking meat – yum and Potlatch Seasoning for seafood, in particular salmon. 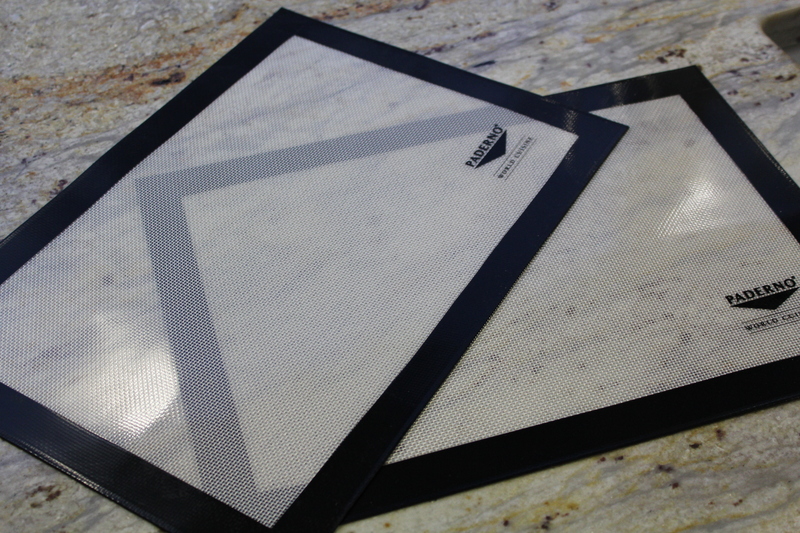 And finally a couple of silicon baking mats. Not a bad haul! Should have a lot of fun with that lot. 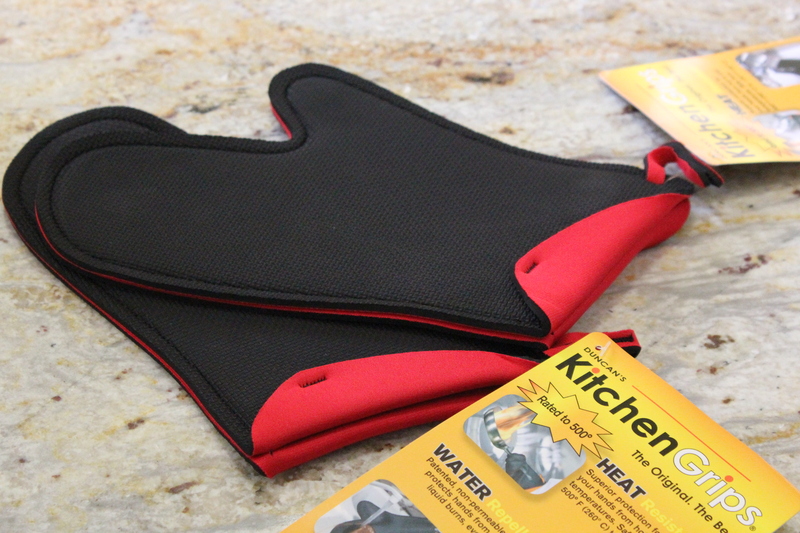 Check out Celia’s In My Kitchen when you get a chance – she started it all. Thought provoking title I know. This meal was another derived from our pack of Chianina Beef. We have had some lovely meals from these cuts and this meal was no exception. This pack was about 1.5kg of chuck on the bone. The recipe came from Neil Perry’s Rockpool Bar and Grill. This an impressive book, both in size and presentation. I pretty much bought it for one recipe – insane I know, but hey, we are talking cookbooks here. That recipe was seared king prawns with goat’s cheese tortellini, burnt butter, pine nuts and raisins. Haven’t made it yet but I will. Having said that, the more I look through this book, the more I like it. 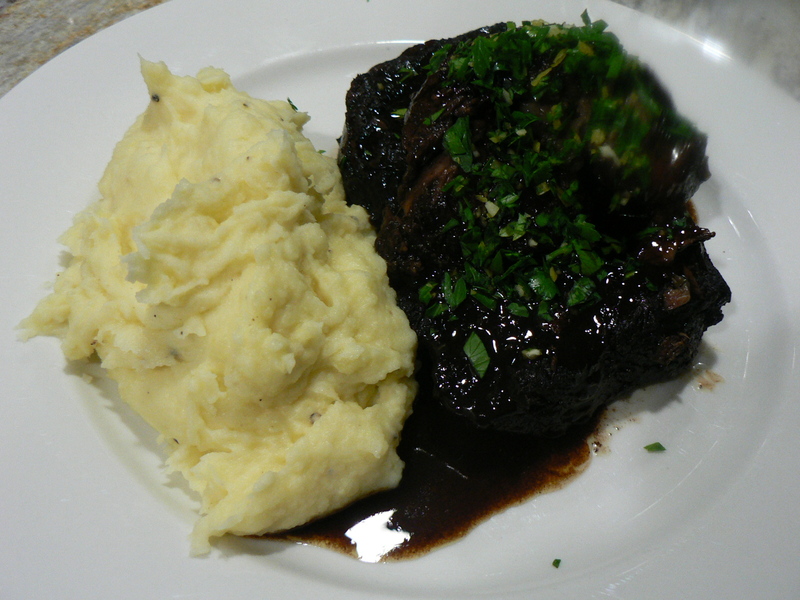 The recipe was wagyu chuck braised in red wine with gremolata and potato puree. 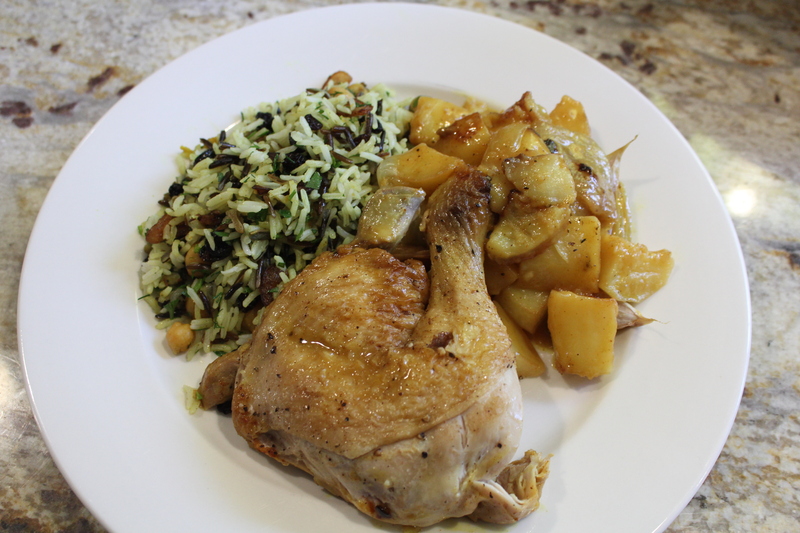 This was one of the richest braises I’ve had – very good though. Firstly cook 1 diced carrot, 1 diced onion, 1 diced celery stalk, 50g of chopped prosciutto and a head of garlic halved in 80ml of olive oil. Cook for 15 mins or so until veges are well caramelised. Add 500ml of port and simmer until liquid reduced by half. Then add 1litre red wine, 10 sprigs of thyme, 2 bay leaves and 10 peppercorns. Continue simmering until liquid reduced by half. Meanwhile, brown the chuck in hot pan and seal on all sides. 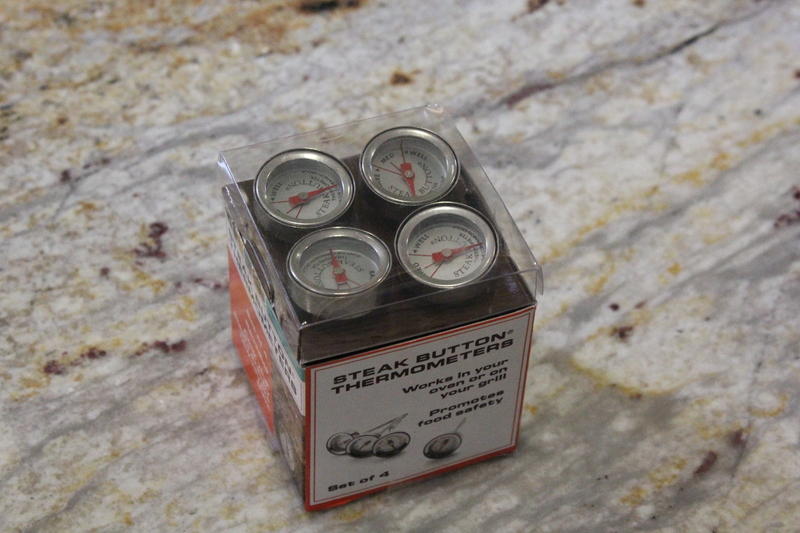 Place beef and braise into a covered casserole and cook in a 150C oven for 3 to 4 hours . When beef is fork tender remove from sauce and keep warm. Strain sauce. Heat 80ml of olive oil in a pan add 1 carrot, 1 onion, 1 leek and 1 stick of celery all finely diced. Add 3 garlic cloves sliced and cook for 10 mins until starting to colour and caramelise. Add strained sauce and 2 1/2 tbsp of balsamic vinegar and cook until sauce is a thick glaze. Add a little sugar to sweeten if needed and season to taste. 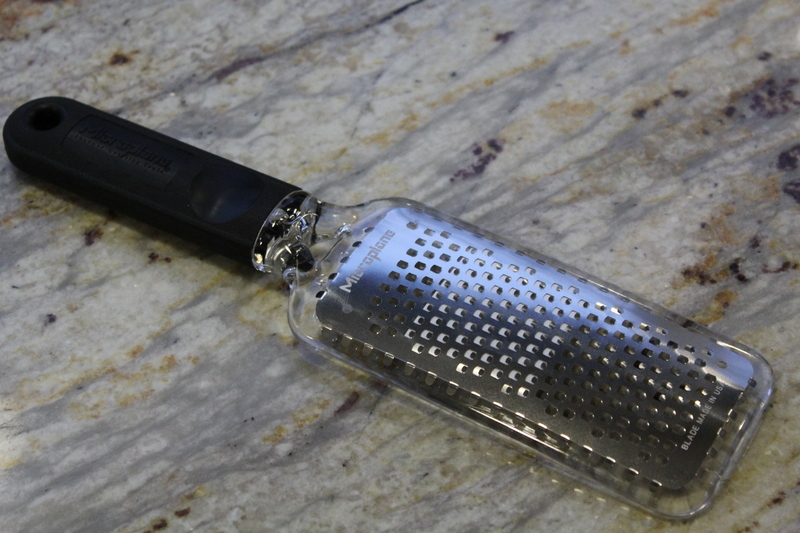 I have a new toy, sorry important piece of barbecue kit. 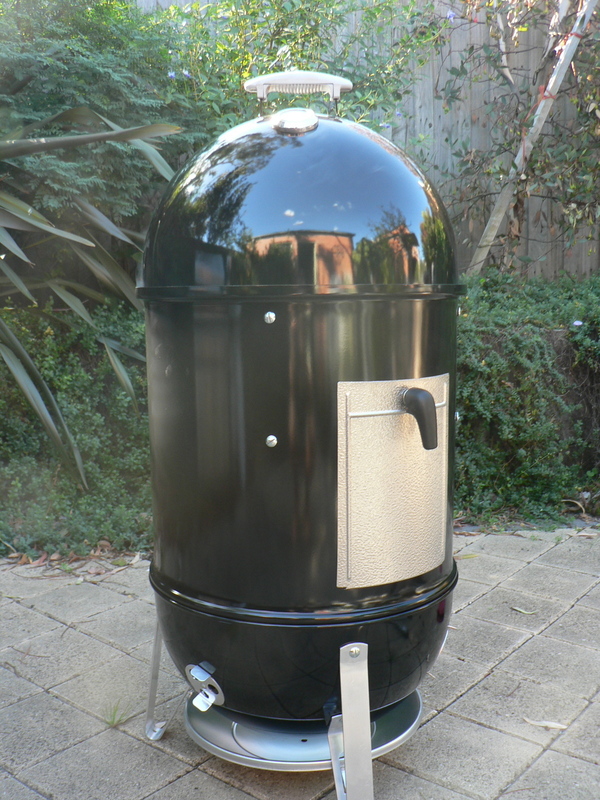 It’s a Weber Smoky Mountain. 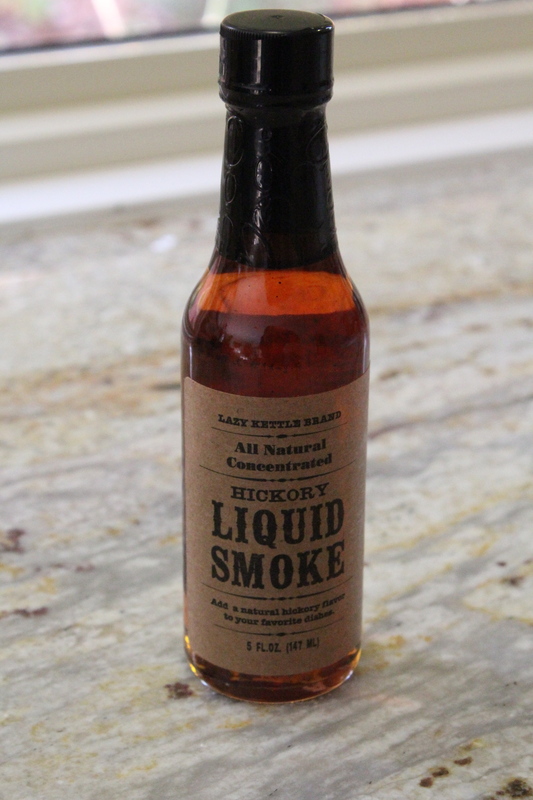 Its burns charcoal and produces a long, low temperature cooking environment that is enhanced by the smoke produced by the addition of hickory chunks. I’ve been fascinated by US style BBQ for some time and this gives me a chance to give it a go for myself. So far I’ve cooked brisket, pork ribs and pork shoulder with varying degrees of success. I think my downfall thus far has been not cooking the chunkier meats long enough. 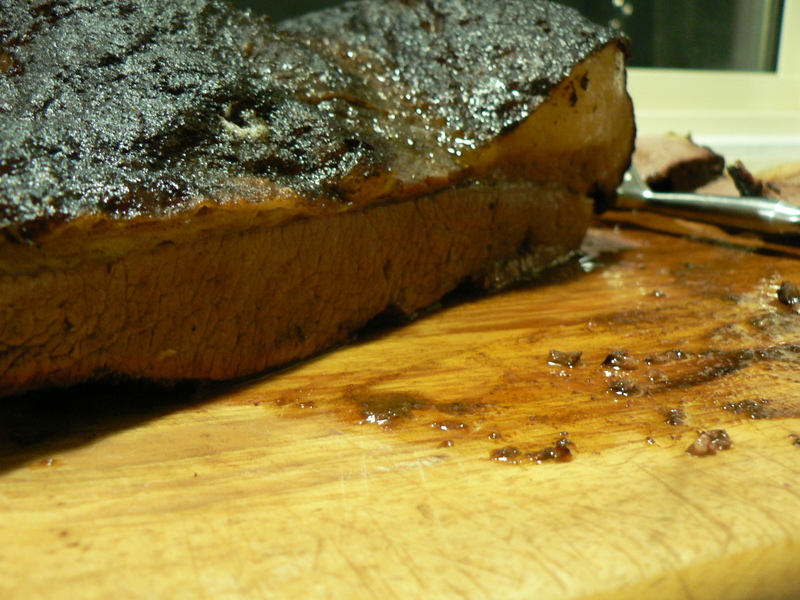 Anyway, here are a couple of pics of the brisket I tried first up. The ribs I smoked turned out quite well. I didn’t get any pics but served them with coleslaw and jalopeno cornbread, both recipes coming from Al Brown’s Stoked, another worthy BBQin’ cookbook. The cornbread served us for the rest of the week. To make jalopeno cornbread saute 1 1/2 cups finely chopped onion and 1/4 cup canned jalopenos in 1/3 cup olive oil until onion is transparent and soft. Place in a large mixing bowl with 4 cups of roughly chopped corn kernals, 3 cups of polenta, 250ml of buttermilk, 2 1/2 cups of grated cheddar cheese and 2 tsp of salt. Gently fold 9 egg yolks that have been whisked until creamy into 9 egg whites that have been whisked to soft peaks. Fold egg mixture into the corn and onion mix and pour into 2 lined bread tins or a ovenproof frying pan. 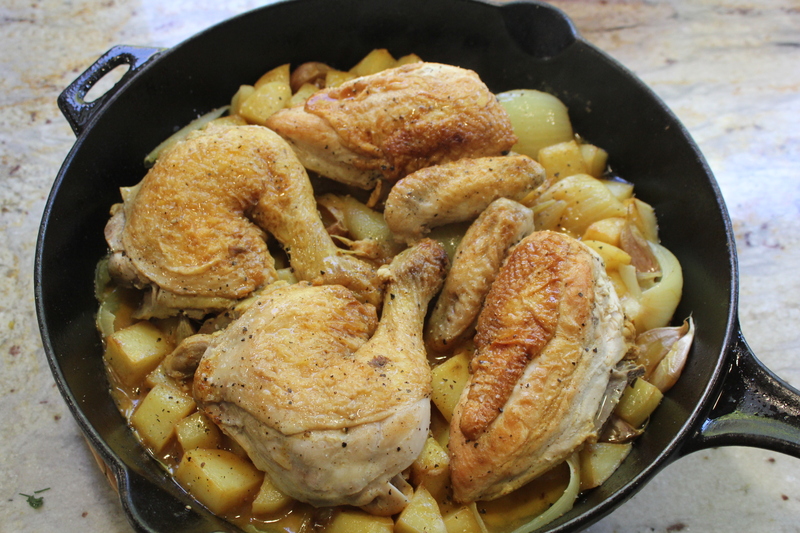 I used a cast iron frying pan. Cook in a 160C oven for 45 mins until golden and firm. Slice as you need and brown up on a grill to serve. 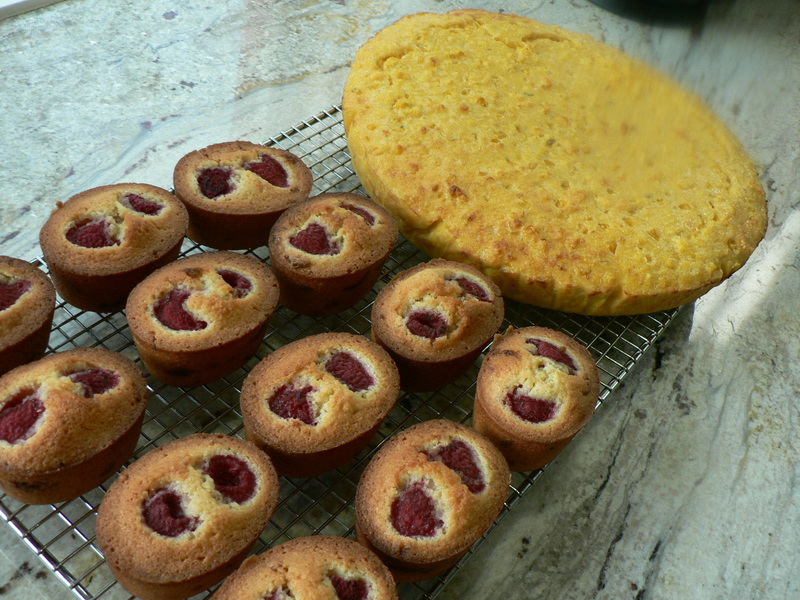 Below is the turned out cornbread and also a few friands that I have been cooking quite a few of lately. We and 2 other couples have been hosting each other for dinner for 15 or so years. We are all into our food and wine so these are the nights when the good bottles of wine come out and quite a bit of thought and effort goes into putting a menu together. These dinners are not quite culinary wars but we do strive to impress. Last night I cooked from Heston Blumenthal at home. This as it turns out is a pretty good book. I would say of the five courses I cooked, time management and prep are the things you need to look out for rather than the cooking being super tricked up (though I did use sous vide for one course and dry ice to make ice cream in another). First up I served Red cabbage gazpacho. Can’t say I’ve juiced a cabbage before, but I have now. This dish is successful because of the combination of the acidity of the red cabbage juice/mayonnaise mixture balancing with the sweetness of a scoop of mustard ice cream. A fresh start to a meal. 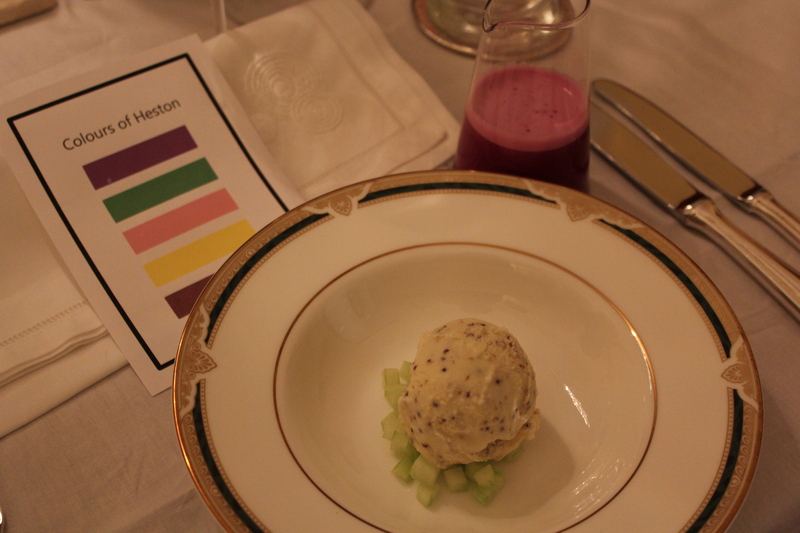 The gazpacho is poured around the ice cream at the table. Then it was on to snail porridge. Sounds bad, tastes great. This dish is all about savoury flavours and texture. The oats are swelled with stock then flavoured with parsley butter. 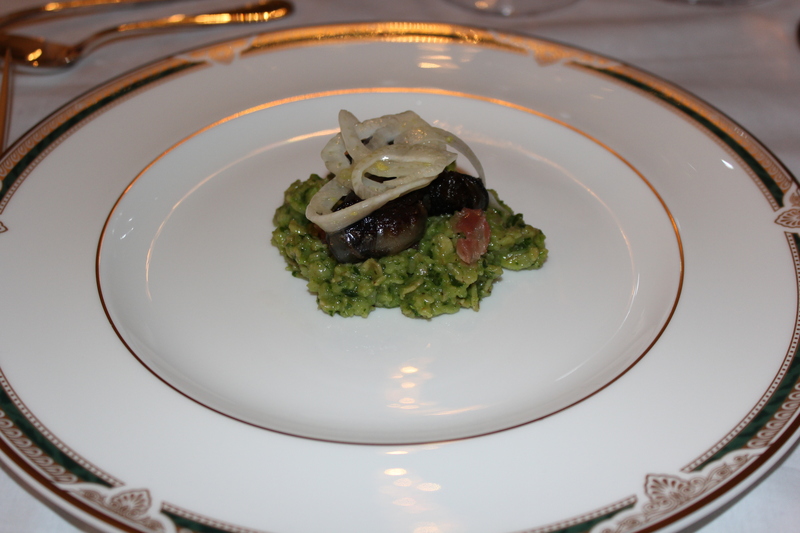 Parma ham, sautéed snails and fennel on top. I love it. 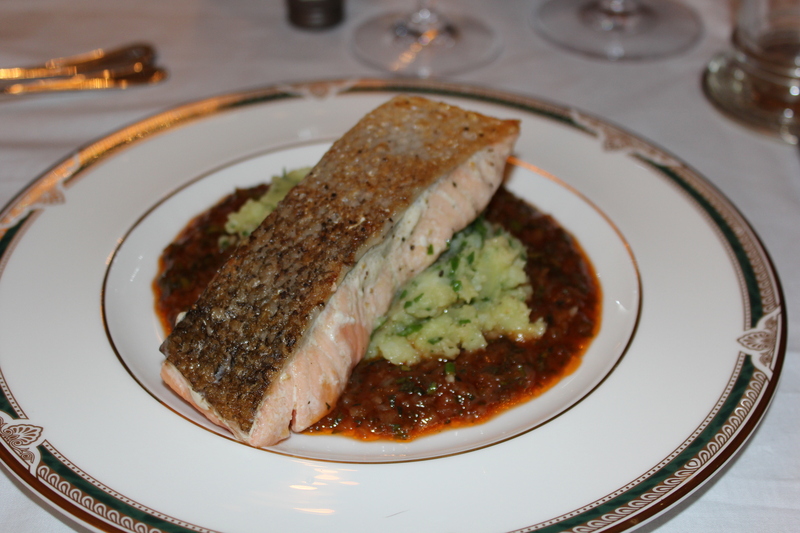 For main we had salmon with bois boudran sauce. The bois boudran sauce is essentially a spiced up tomato and onion sauce containing sherry vinegar, worcestershire sauce, soy sauce, dijon mustard, olive oil, tarragon and parsley. On top of the plated sauce were crushed potatoes followed by the salmon which was cooked sous vide for 15mins at 50C before having the skin quickly browned up in the frying pan. The salmon was vacuum packed with olive oil prior to being cooked. The texture of the fish was terrific. We had a Heston interlude at this stage to enjoy a 1994 Henschke Mt Edelstone Shiraz (which was drinking beautifully) with some hard goats cheese from the Vic Market’s French Deli. 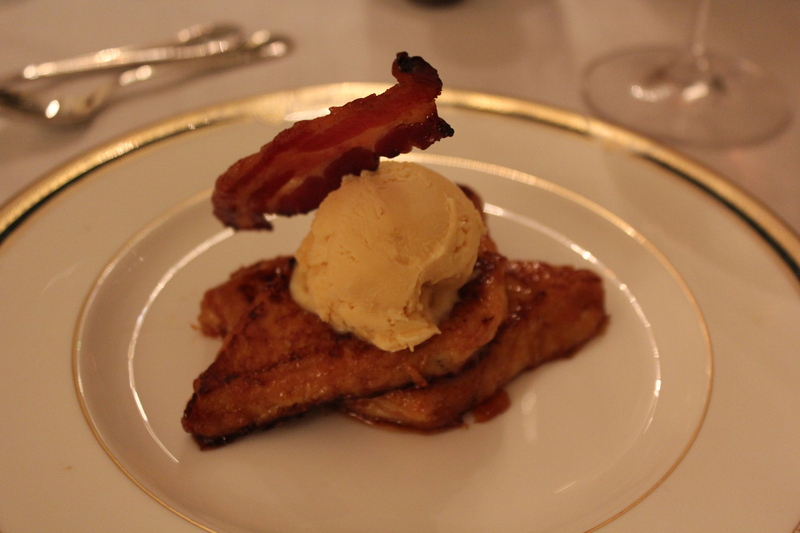 I think the next dish, Pain perdu with bacon and egg ice cream, was probably the hit of the night. And also the best fun to make. The ice cream was a three day process. Firstly milk is infused with cooked bacon overnight. Then a very eggy custard with 24 egg yolks is made (yes, lots of meringues and friands to make today). Finally the mixture is turned in to ice cream by the addition of crushed dry ice. With all the vapour flowing out of the mixer, it looks like a mad science experiment, but the result is very smooth, yummy ice cream. The pain perdu is caramelized french toast I guess, but again the process takes a day. Served with a slice of caramelized bacon. 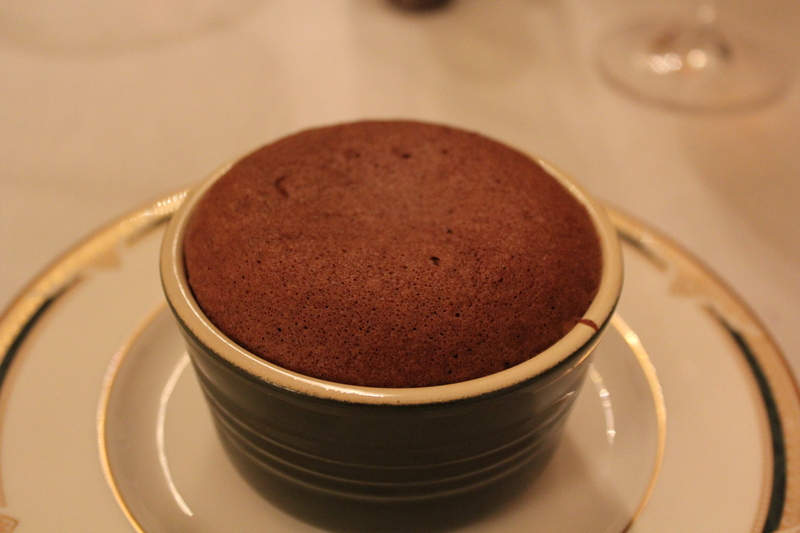 Finally, as if we hadn’t eaten enough, liquid centred chocolate puddings. The liquid centre is achieved by placing a block of frozen chocolate ganache inside the cake mixture before cooking. Works a treat. Did I need to eat the whole pudding? No. Did I? Absolutely! La Cucina purports to be Italy’s most complete and authentic cookbook. It may well be. 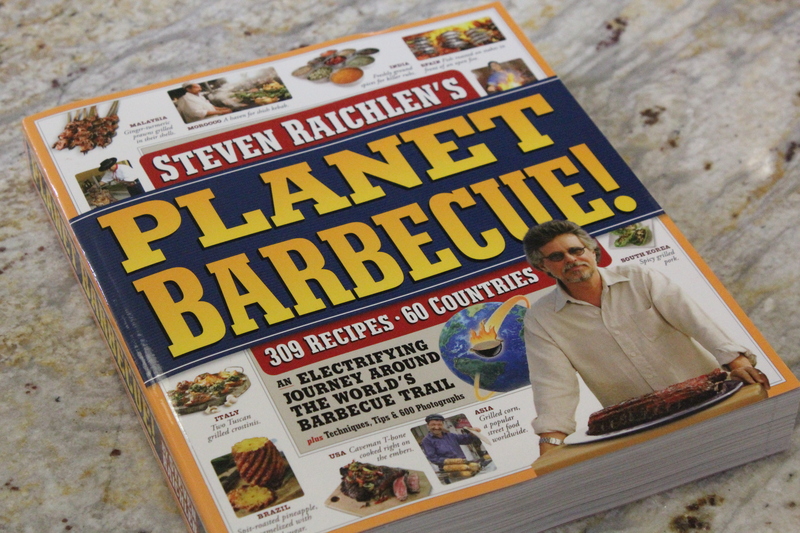 900 odd pages, no pictures, more than 2000 recipes each referencing region of origin makes it a mighty reference, the type of book I like to have a few of. I also like eggplant, especially deep fried – the crunch and flavour of the skin is wonderful. So I was able to combine this craving with the requirement to keep pasta up to a hungry rower by making Pasta alla Norma from La Cucina. I’ve made variants of this before but this recipe also required ricotta salata which I substituted with feta. Its a fairly simple recipe. Most of the time and effort is spent deep frying the eggplant in batches. While you are doing that, make a tomato sauce of 2 cans tomato puree, 1/4 cup of olive oil, 1 sliced onion, salt and pepper. Cook this in a pan until it has reduced by 1/3. Cook your pasta (I used Barilla Casarecce). 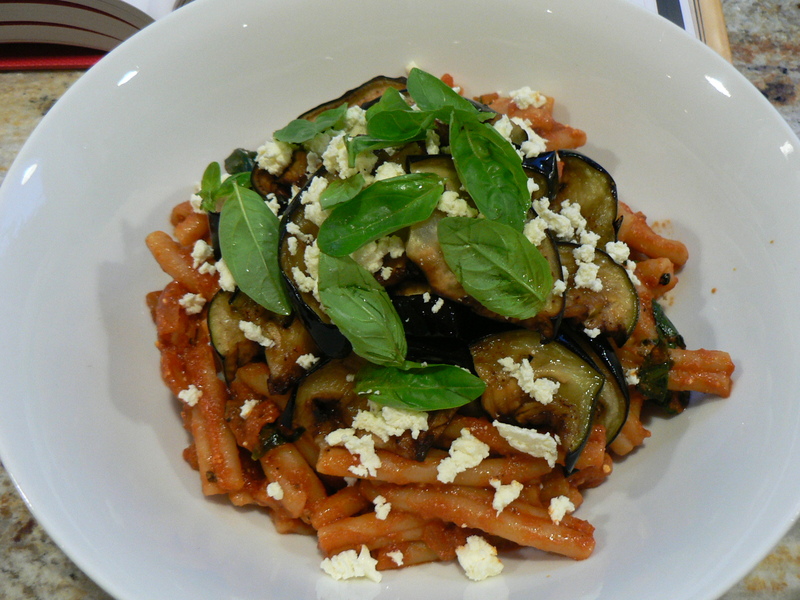 Drain and add 50 g crumbled feta, the tomato sauce, a handful of basil leaves and some more pepper. Combine well. Serve up and top with eggplant some more feta and a few basil leaves. We have also been continuing on with our Isola Farm beef pack. We used one of the 1.5kg mince packs on the weekend by making a cottage pie with Guinness on Saturday and burgers on Sunday. 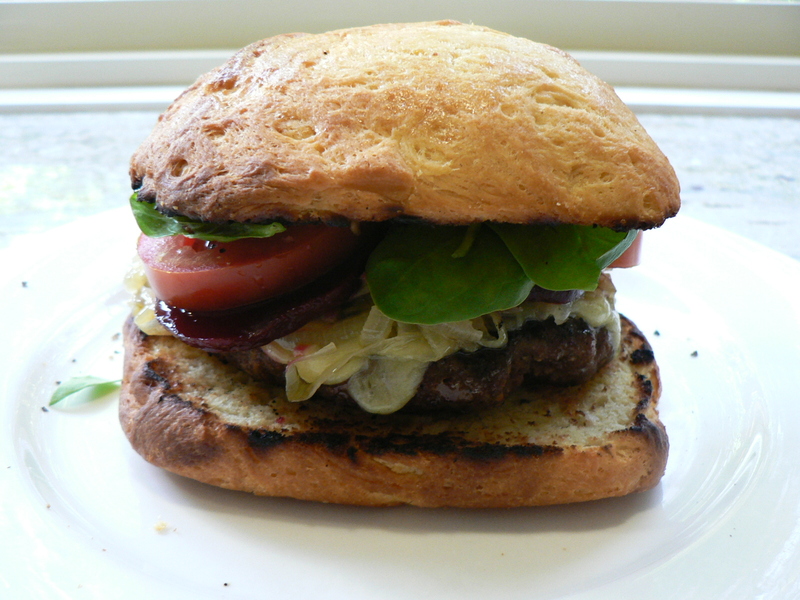 For the burgers I made brioche burger buns using the recipe here. The dough is quite wet so the moulds mentioned in the recipe would have been useful but I think they turned out quite well. 156 of 265 new recipes completed.